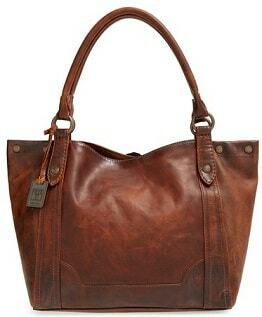 A tote bag is a large and often unfastened bag with parallel handles on both sides of its pouch. Created in an array of different shapes, sizes, and colors; made from various materials, tote bags are widely popular among women of all ages. The archetypal tote is made of sturdy cloth. It may have thick leather at its handles or bottom for additional strength and durability. Leather versions often have a pebbled surface (but not always). Although totes can be made of several different fabric types. Common fabrics include heavy canvas or jute. The canvas can be dyed, printed, or decorated with embellishments. The cloth can also be embroidered with a person’s name, initials, or some other wording or imagery. A cloth version of a tote is often treated to resist moisture and mold (but not always). Jute is an alternative material, but not probably not sold at the same volume internationally as canvas totes. However, Apparel Search has never done an official survey to determine the most popular fabrication of a tote bag. In recent decades, heavy nylon and other easy-care synthetics have become commonly used for totes. Tote bags are often used to carry towels and other items to the pool or beach. It is important to keep in mind that some of the nylon & other fabrications can possibly degrade a bit with prolonged sun-exposure. Totes come in a variety of qualities, colors, and sizes. Some are manufactured with luxurious fabrics and trimming, while others are produced to be sold at a rock bottom price. The designer totes sold in high end fashion boutiques come with a high price tag and are sold to the well-off fashionistas and celebrities. Other totes are low cost and sold at mass merchants & department stores. On occasionally totes are used by some companies as giveaways for promotional reasons. It is not uncommon to find free totes with a company brand printed across the front. Many of today's inexpensive or free totes are often made from recycled matter, from minimally-processed natural fibers, or from byproducts of processes that refine organic materials. The term tote or tate, meaning "to carry", can be traced back to the 17th century but was not used to describe bags until 1900. However, the tote bag craze in the United States began in the 1940s with the release of the L.L. Bean Boat Bag in 1944. Because they were easier than carrying luggage, most people opted for using tote bags. During the 1950s, tote bags began to enter into the main culture. Women primarily utilized them as practical handheld bags because they didn't require much care. It wasn't until the 1960s when the tote bag embraced personal style. Bonnie Cashin released her own line of tote bags called Cashin Carry Tote Bags which combined style and functionality. In the 1960’s Bonnie Cashin released her own line of tote bags and called it Cashin Carry Tote Bags. The bags from Bonnie’s line were embellished and far more stylish than the conventional tote bag, which appealed more to women who wanted both style and practicality. In the 1990s, Kate Spade helped further transform how American culture embraced tote bags when she began carrying them as fashion bags. Fashion lovers and consumers can find tote bags in a variety of decorations and themes. 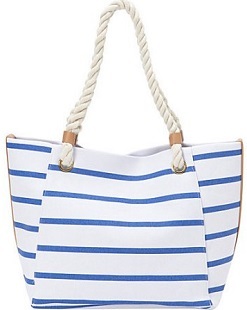 Do you own a tote handbag? You may also want to learn about hobos, satchels and other types of handbags. 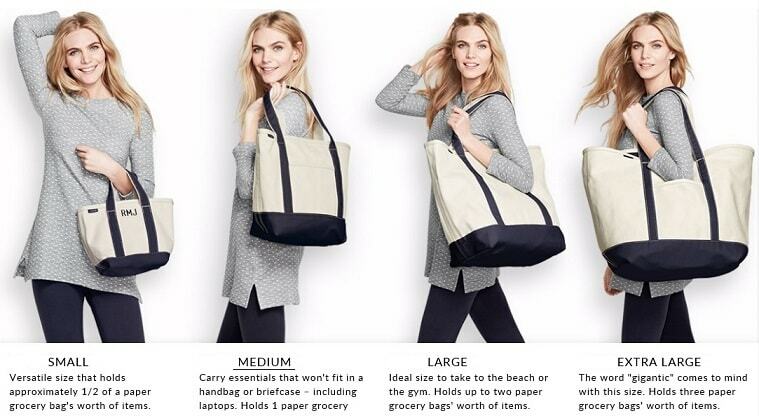 You can purchase totes at many fine retailers such as Nordstrom, Lands End, Neiman Marcus, and Lord & Tailor. Also at leading mass merchants such as Walmart.